New FREE chant up on Insight Timer! 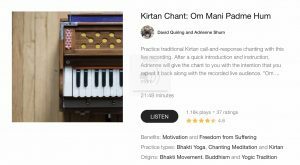 David and I are excited to announce that we have uploaded a new FREE kirtan recording on the Insight Timer app! It is a recording of the chant, OM MANE PADME HUM. It calls for benevolence and prosperity, and originates from the Tibetan Buddhist tradition. Mantras are short phrases chanted repeatedly, and while it sounds esoteric, we actually chant mantras to ourselves all the time – but usually the mantra is something like, “I’m not good enough” or “I don’t deserve X.” Chanting traditional mantras crowds out the unbeneficial thoughts that have been stuck inside on a loop, so that you can be free of them. 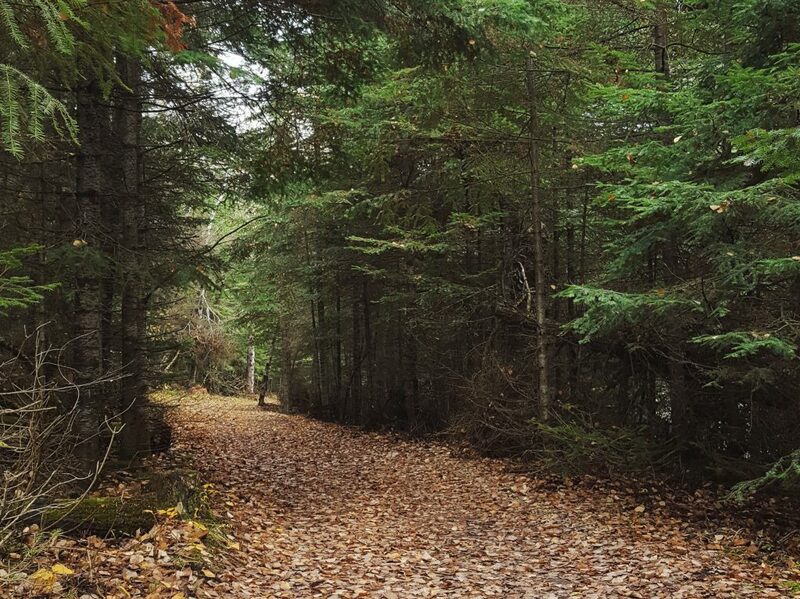 Simply listen, or practice call-and-response to this live recording. 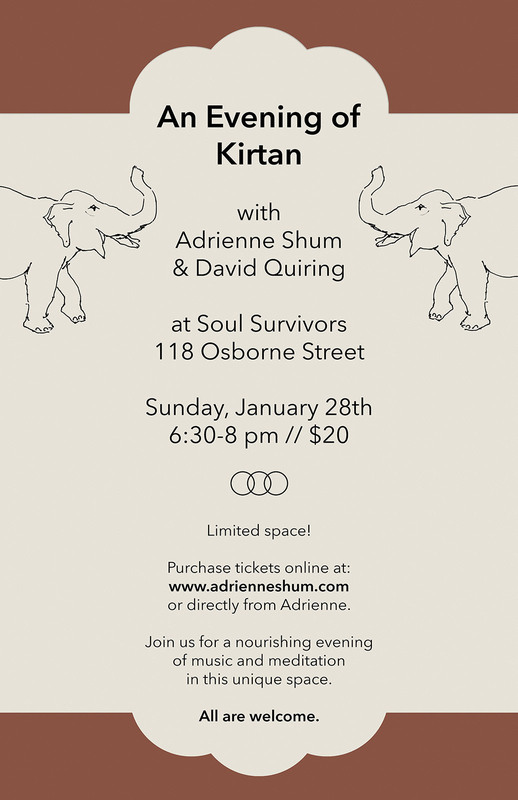 Kirtan at Soul Survivors to start 2018 – tickets now available! Join David Quiring and I for a Kirtan at Soul Survivors (118 Osborne Street, Osborne Village) on Sunday, January 28th, 2018 (6:30-8 pm, $20). 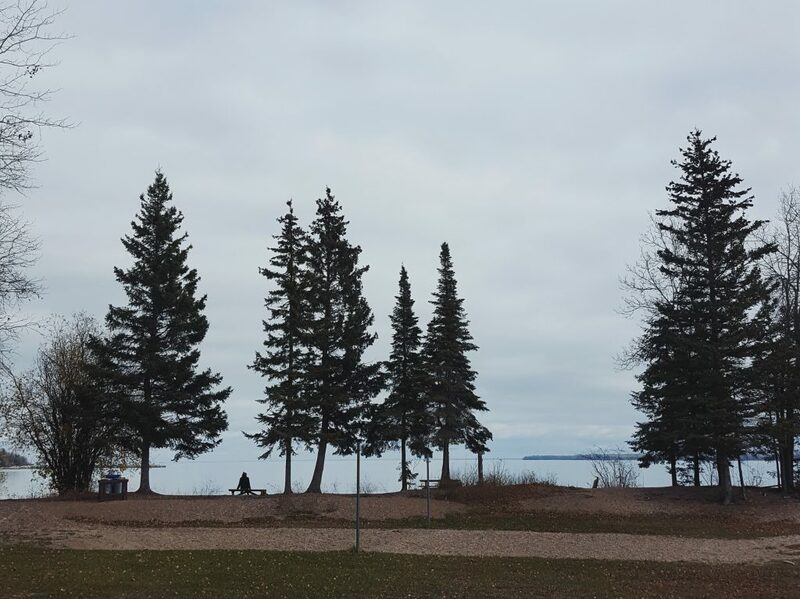 Usher in another year, and embrace the healing serenity of winter by gathering with us to practice! Soul Survivors is a body art studio located in the heart of the city, and we are grateful to share this practice in its unique atmosphere. Free parking is available in the surrounding side streets. 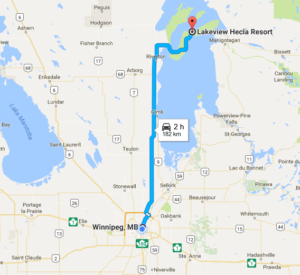 UPDATE, Jan 25th: this kirtan is sold out! Thank you so much, everyone!